Security is the most critical part of a self-storage operation. With the rapidly evolving technology, it is vital for self-storage owners and managers to provide excellent security by using top-notch security systems. Many facilities now use digital video-surveillance cameras, individual unit alarm systems, real-time site graphics that can monitor the office and clients, and electronic gate-access control system. The system used to secure the units can protect tenants and stored goods. Many facilities are now using new technologies, such as automated retrieval and lock systems. In addition, the security of the unit is not limited to keypad access and security gates. Clients, such as yourself, are more attracted to secured self-storage units since it can provide you with assurance that your belongings and possessions inside the unit are safe. In choosing a facility, you will need to properly evaluate the security components used by the company and learn how they work. This article will help you get a closer look at the newest advancement in self storage technology, which is the automated lock system. Although having automated gates and high-tech video-surveillance are the norm in ensuring security in every facility, the evolving technology has allowed manufacturers to produce new tools. Among the most popular is the automated door lock. This system is a battery-operated system that offers security and access control to every unit. This tool can secure even the vacant units straight from the manager’s office. This makes the overlock process automated. Another feature that makes this security tool unique is its ability to limit access. For instance, if a client failed to pay his bills on time, he will not be able to access his things inside the unit, even if he manages to get inside the facility. It engages and disengages locks without human intervention. This automatic locking is triggered when the client gains access through the gate keypad. Allows clients to get inside and unlock the units through an external keypad. To that end, it adds a level of security, increasing customer satisfaction and convenience. This security tool remains functional and operates all year, even during holidays and off days. The automation improves self-service and the facility can run with minimal staff. Clients can feel reassured that their important belongings and valuables are protected and secured from outsiders. A facility that prioritizes the security of every storage unit can provide you with comfort and assurance, which is crucial to the storage experience. If you don’t feel that your belongings and valuables are safe in the facility, you should move and look for a facility that offers the best security. Check This Post:- How to Have Great Internet Speed with Speed Test Apps Always? About Author: Kris Bennette writes about the latest gadgets and technologies. In this article, she aims to help her readers read more about the features and benefits of an automated lock system used by self-storage facilities. How Do JaguarPC Make Joomla Hosting Easy? I’ve always wanted to improve the security system at my business in West Palm Beach to a level beyond a few cameras. The security pros at Godby Safe and Lock installed a high tech Access Control System for my small business. Now I can be assured that only authorized personnel accesses certain areas of my business. These are the folks you can trust. Great information found here…. find it very interesting to read this site. Thanks for your informative post..
Technology makes everything easy for people. 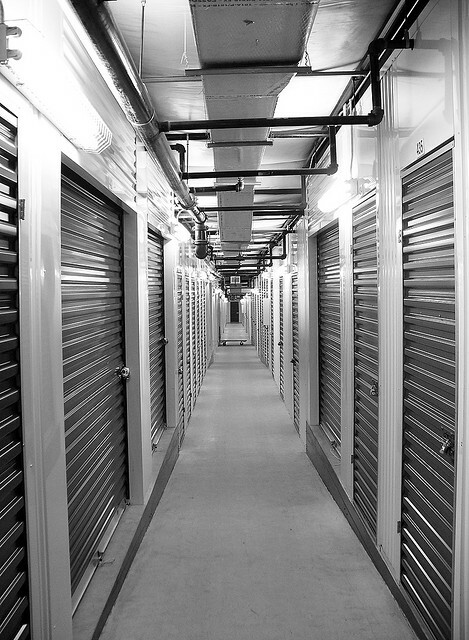 In a self-storage unit, technology plays a vital role. As people only prefer those units or places where proper safety and security is provided and with the advancement in technology one will ensure of all these aspects thus one have a peace of mind that all his belongings are stored at the right place. But very useful information you have provided here. I also got very informative tips and ideas form this post. Thanks for the unique post. Thanks for your time and putting your comment.